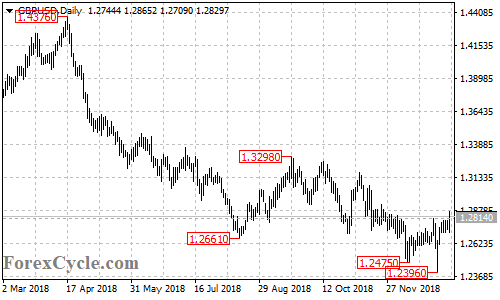 GBPUSD broke above 1.2814 resistance, suggesting that the downside movement from 1.3298 had completed at 1.2396 already. Further rally would likely be seen in a couple of weeks and next target would be at 1.3100 area. Near term support is at 1.2700, below this level could bring the price back to 1.2500 area.